For years Colarossi & Colarossi, P.C. has been recognized by HOUR Detroit and DBusiness Magazines as being in the top seven percent of the best estate planning attorneys in Metropolitan Detroit. 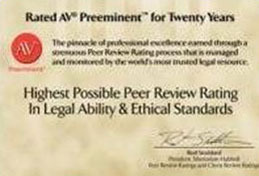 Rated AV Preeminent for Twenty Years with the highest possible peer review rating in Legal Ability & Ethical Standards by Martindale-Hubbell. Listed in the Top Lawyers in Michigan by the legal network for the highest in Ethical Standards & Professional Excellence. Colarossi & Colarossi, P.C. 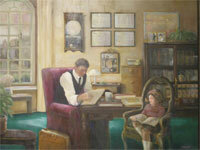 is the exclusive estate planning law firm for the 23,000 members of the Henry Ford Health System Perks Program.